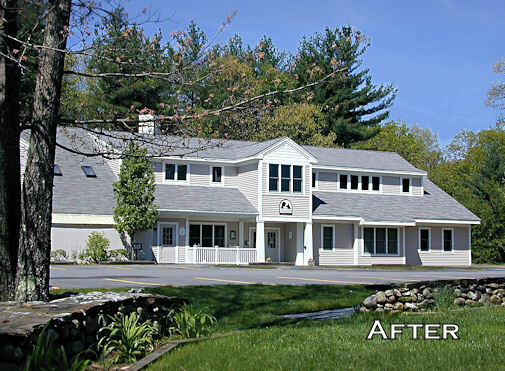 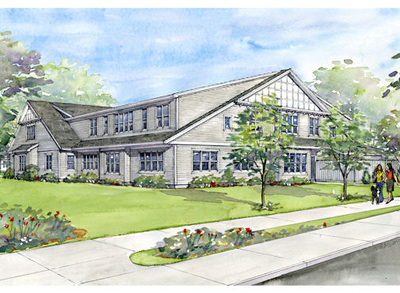 While at Gorman Richardson Architects, Daniel Lewis designed this addition to the national headquarters for the New England Assistance Dog Services (NEADS) Training Facility in Princeton, MA. 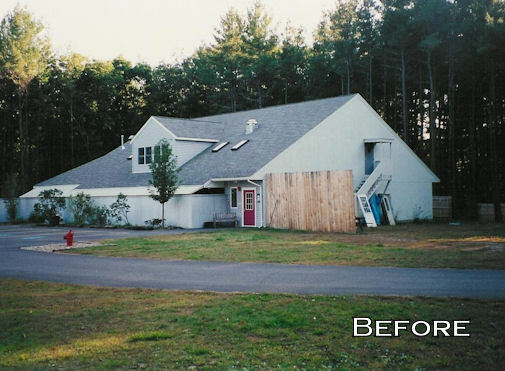 Although the original building (labeled BEFORE) was rather uninspired, the addition created an attractive transformation. The original portion of the building is to the left and has skylights and a single door which can also be seen in the BEFORE photo. 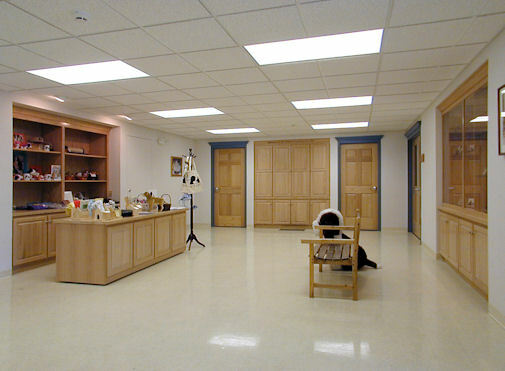 Daniel Lewis was subsequently hired to design a further addition to	the facility to house additional kennels, training and administrative	functions.